A quiet, fourteen-year-old bookworm in Usagi's class. 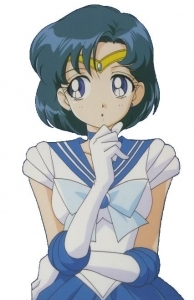 Highly intelligent with a rumored IQ of 300, she can transform into Sailor Mercury, Soldier of Water and Wisdom. Ami's shy exterior masks a passion for knowledge and for taking care of the people around her. She hopes to become a doctor one day, like her mother, and tends to be the practical one in the group. Secretly, she is also a fan of pop culture and romance novels, and becomes embarrassed whenever this is pointed out. 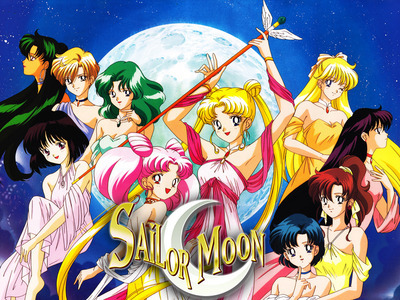 Ami would also be considered the "tech girl" of the group by using her mini data computer, which is capable of scanning and detecting virtually anything she needs.